Did you miss out on getting a Schmidt Family Cookbook or “Karl Crosses the Atlantic” Children’s Book at the 2016 Schmidt Family Reunion? Rest assured, you can still purchase either of these books online from Lulu Press and have them shipped straight to your home. The books are $19.99 + shipping. Click here to purchase the Schmidt Family Cookbook. 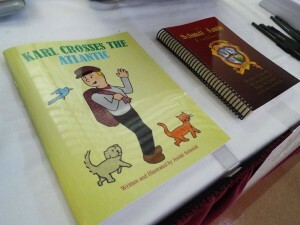 Click here to purchase the “Karl Crosses the Atlantic” children’s book.